A chef who told Gardai his name was Peter Pan ended up paying €300 to charity when he appeared at Letterkenny District Court. Brian Kelly, 31, was spotted by Gardai roaring and shouting at Glenfin Street in Ballybofey on July 24th last. When told to calm down by Gardai, Kelly continued to roar and shout and was eventually put in a patrol car. Defence solicitor Kieran Dillon said Kelly of 57 Beechwood Park, Convoy, had been drinking in pubs in Letterkenny and Ballybofey and was in high spirits. “He was about to get into a taxi when the Gardai arrived but he didn’t have the wit to go home,” said Mr Dillon. 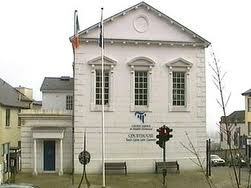 He adjourned the case until April 3rd to allow Kelly to pay €300 to the local branch of St Vincent De Paul.